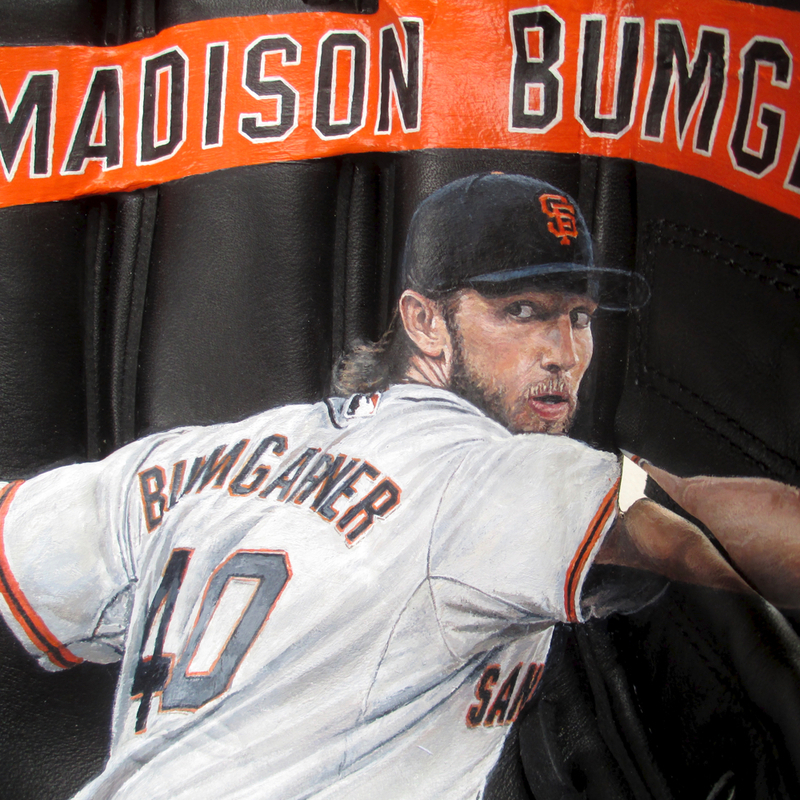 Madison Bumgarner baseball glove art. 2014 World Series MVP highlighted with portrait and hand-lettering. Commissioned by a big Giants fan, of course. Challenge getting my hand in there to paint the portrait in the middle of the very deep pocket of this glove. 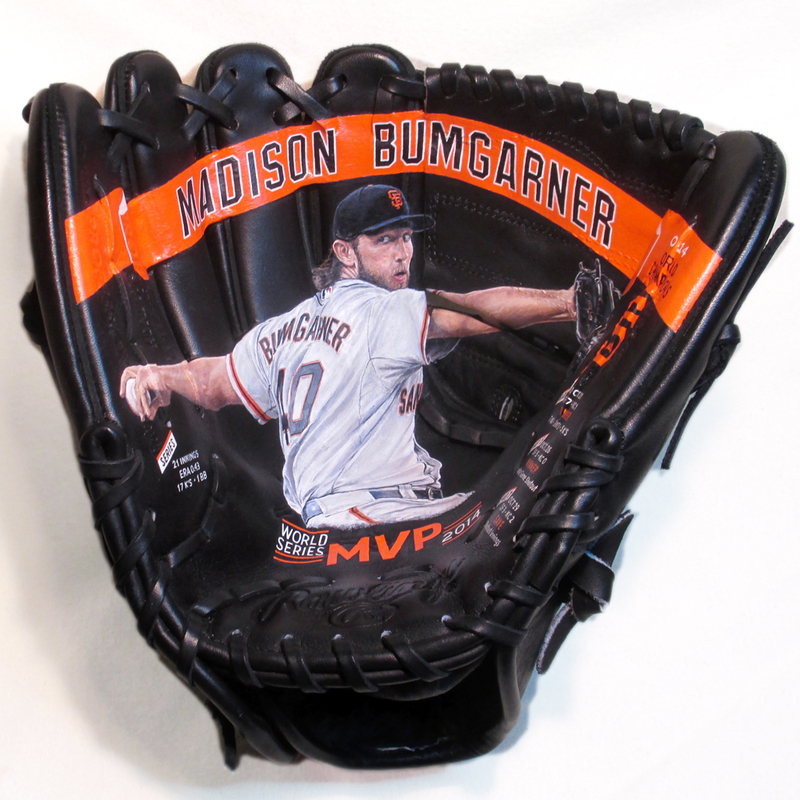 On a Rawlings glove just like MadBum used in 2014 (as far as I could tell). Love that orange on black leather!